There’s something special about the way our focus works — especially if you work a dull 9 to 5 job. There’s also a number of great ways to help you stay focused while you’re at work. Our brains need structure and focus to function yet we often find ourselves looking down at the clock and it’s 5pm already. Again we’ve completed a limited amount of our daily duties. Our minds go into overload and were miserable until we get to go home. We have hardly accomplished anything. That is the precise reason why we love this article from Business Insider on how to stay focused at work – because let’s be honest with our plates so full these days we hardly find a productive approach to our working days. The following 5 tips are ones that really take the cake when it comes to staying focused at work. So if you’ve had an unproductive week or just need to refresh your focus, check them out. Grab the headphones: Ask your supervisor about headphones, sometimes simply music can help one get in the zone. Visibly prioritize: Stay focused on an item/task at a time, sift through the levels of importance and prioritize. Keep your list visible, remind yourself of your goals so their not lost in the shuffle. For some people starting with the dislike list and getting that out of the way works: Manage your time accordingly and set REALISTIC deadlines. Take a break: Enjoy the outdoors during your lunch break or simply take a walk around the office. Clear your mind so you can get back to your assignments with a fresh mind. Stop personal tapping and clicking: Try to eliminate your work time being consumed by personal banter. Stop surfing the web and tuck your phone away so you’re not distracted. Tab it, colour it, date it: organize our work space, colour code things, have to do baskets and completed baskets. Date your assignments. You can add a white board to help your to do list stay visible. A clean work place is a productive work place. Always remember Communication is key! If your distracted personally or feel to many task have been put on your plate, talk with your supervisor or management. Sometimes just discussing your lack of attention can help your hit the reset button. 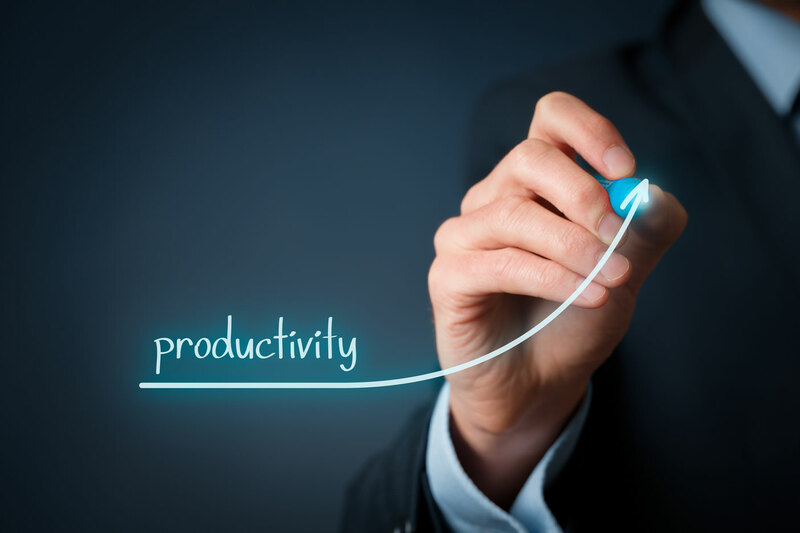 Do you have any favorite productivity tips to help stay focused at work? We’d love to hear them! Leave a comment below with any tips that have helped you out.